Australia’s kitchen and bathroom industry is experiencing extremely strong levels of demand as a surge in home building activity drives new kitchen and bathroom installations to record levels and a recovering renovations sector boosts demand for significant interior makeovers. In a recent report prepared in conjunction with bathroom and kitchen material supplier GWA, the Housing Industry Association says it expects a whopping 213,000 kitchens and 429,400 bathrooms to be installed in new homes throughout Australia in 2015-16. This marks the second highest level on record, and is up 47 per cent and 55 per cent on the 144,900 kitchens and 273,300 bathrooms installed during the most recent trough in activity in 2011/12. ‘Notional’ levels of demand for the renovation of existing stock as determined by the number of kitchens and bathrooms within the 10-to-20-year age bracket in which around three-quarters of all renovation work takes place remain at relatively low levels. However, a broader upturn in overall levels of renovation investment indicates that activity could also be being partially supported by a modest recovery in remodelling work, albeit from a low base. Leading the charge are the eastern states, where housing market conditions are booming. Queensland and New South Wales both expect record levels of new installation activity in 2015/16 and activity remains very strong in Victoria. Moreover, with a further 182,700 kitchens and 368,300 bathrooms expected to be installed in new homes and levels of investment in renovations activity expected to edge up further, the sector is set for another robust year in 2016/17. HIA economist Diwa Hopkins says the industry is benefiting from a ‘sweet spot’ as renovations activity recovers even as new home building activity remains strong. Hopkins said momentum in new home building was being driven by a combination of low interest rates and high levels of pent-up demand from strong population growth which occurred between 2007 and 2012 whilst the renovations sector was benefiting from a combination of rising house prices (and thus home equity levels) and improving levels of consumer sentiment. Growth in the number of homes entering the 10 and 20-year age bracket, during which around 75 per cent of all kitchen and bathroom renovation jobs typically take place, would further aid renovations activity, she said. 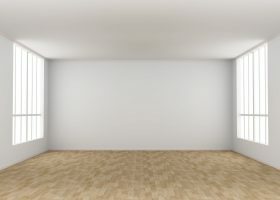 “I guess we are at a sweet spot at the moment where we have really high levels of new home building activity and we are also seeing improving conditions in the renovations sector,” Hopkins said. Whilst conditions would remain buoyant during 2016/17, however, Hopkins says activity is expected to slow thereon after as a further lift in renovations work is more than offset by an anticipated contraction in new home building activity. Almost half of all new kitchen installations (46 per cent) were completed within four days or less from the moment tradespeople arrived on site. Times taken for bathroom installations varied, but a period of between 16 and 20 days was the most common selected (21 per cent). More than three quarters said it was more expensive to renovate an existing kitchen and/or bathroom compared with installing one of a similar fit-out in a new home. The average value of kitchens/bathrooms installed in new homes came to $21,356 and $16,731 respectively. This compares with average values of $21,862 and $17,779 for kitchens/bathrooms installed as part of a renovation. More than nine in 10 kitchen renovation jobs and more than eight in 10 bathroom renovation jobs involved a full kitchen/bathroom replacement, with this being part of a larger renovation job in more than half of all cases. 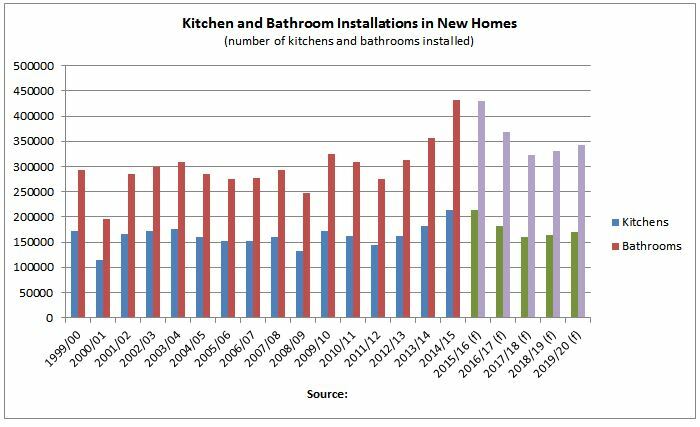 Whereas more than half (56 per cent) of all kitchen renovation jobs involved expanding the existing area of the kitchen, around three quarters of all bathroom renovations involved working within the footprint of the existing area. More than 71 per cent of new detached houses are now being delivered with more than one bathroom, with as many as four bathrooms being installed in 13 per cent of cases. Almost three quarters of those surveyed preferred to use domestically produced goods, with higher quality and a desire to support local industry being critical factors behind this preference. Cabinetry, wall finishes and benchtops were the most commonly locally produced items in kitchens whilst built-in appliances (dishwasher, cooktop and so on) hardware fittings (such as door handles) and lighting were more commonly imported. In terms of bathrooms, shower screens and vanity units were most commonly manufactured locally whereas flooring tiling/coverings and wall tiling/coverings were most commonly imported.